The Overwatch League’s losing-est team really can’t catch a break. In a move that’s invited a host of speculation, they’ve let go of one of their most talented players without offering an explanation. The Shanghai Dragons, despite their best efforts (and a brutal practice schedule), still haven’t won a single game during Overwatch League’s first season. They have, however, had some big moments, taking maps from top teams like Seoul Dynasty thanks partially to the efforts of shambling DPS zombie man Chao “Undead” Fang. Today, however, they suddenly announced that Undead’s been dropped. The Dragons didn’t give a particular reason for Undead’s unceremonious burial, but over the past few weeks, he’s been the subject of a torrent of rumors contending that he’s been unfaithful to multiple women. Neither Undead nor his former team have directly commented on these rumors, but what’s certain is that Undead returned to China earlier this month to resolve a “personal issue.” Now he’s been let go from the team. Compete reached out to Shanghai Dragons for more information, but as of writing, they had yet to respond. Earlier this month, Shanghai sent coach Chen “U4" Congshan packing on the heels of criticism for a coaching style that reportedly had players practicing every day from 10:30 AM to midnight. They were also down a second DPS for most of OWL stage two after Lu “Diya” Weida returned to China to take care of “family issues.” However, the team has a fresh infusion of talent on the way, with new players Kim “Geguri” Se-Yeon and He “Sky” Junjian finally resolving their visa issues. They’ll begin playing when stage three starts next week. Two other new players, Lee “Fearless” Eui-Seok and Chon “Ado” Gi-Hyeon, arrived at the tail end of stage two. 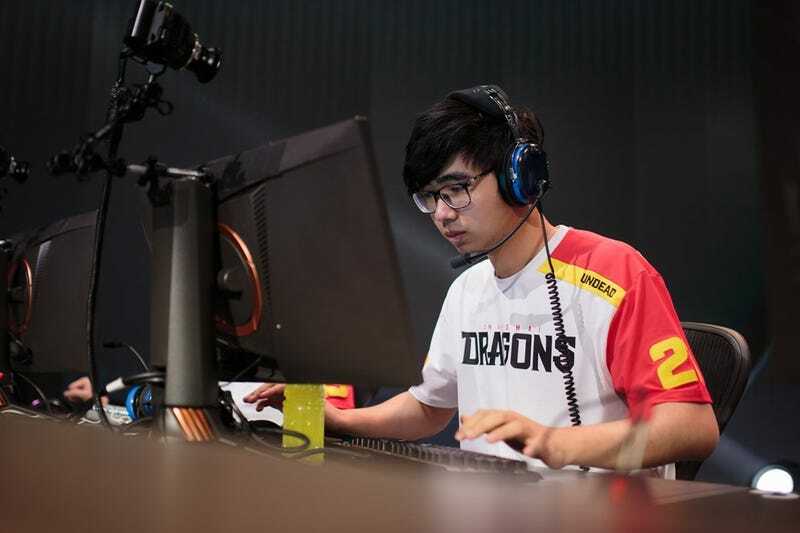 In addition, Shanghai recently picked up a new coach and assistant coach in Wang “RUI” Xingrui and Yan “Creed” Xiao, the latter of whom used to play for a pre-OWL Overwatch team widely regarded as China’s best. With three more stages to go in OWL’s regular season, there’s still time for Shanghai to right the ship, or at least stop it from capsizing altogether. New team members, however, mean both new opportunities and new growing pains. A miraculous comeback might be just around the corner, but the corner’s at the top of a very steep hill.